Have you ever wanted to visit a cozy little village to feel like you’re in a fairy tale? This is not just a dream: there are many picturesque villages all over the world that will capture you with their beauty. Historic architecture, cobblestone streets, high towers and old churches – these are just some of the many exciting things you will find in fairy tale villages. Next time you travel, try to stay away from big cities and famous tourist attractions. Try to immerse yourself in the culture and find those beautiful hidden places and small towns away from the busy city life. Take your time to explore further and you’ll be surprised to find many exciting and picturesque villages. Many of them look like they belong to a fairy tale. These unreal villages may seem like they are frozen in time or part of another world. Many of them can be found in remote laces all over Europe, particularly in France, Germany or Switzerland. However, fairy tale villages are not reserved for Europe only: they can be found all over the world. Perhaps the most fascinating thing about fairy tale villages is their uniqueness. There are no two alike, which makes them even more exciting and beautiful. Another great thing about picturesque villages is that they can tell exciting stories of their own. Remember, there are many kinds of fairy tales and many different stories to tell. These beautiful villages come from all over the world and reflect their own cultures and traditions. Here is the list of the most beautiful and scenic villages from around the globe. Each of them is unique in its own way and can tell a different story. These villages come from many different countries, cultures and geographies. They have their own specific histories and traditions. What is true for all of them is that they look like might be coming from an exciting fairy tale. Rocamadour is a stunning village in south-western France. This village is situated on the edge of a cliff more than a hundred meters above the Alzhou River. This peculiar location coupled with historic architecture make this village a must-see place for all visitors. 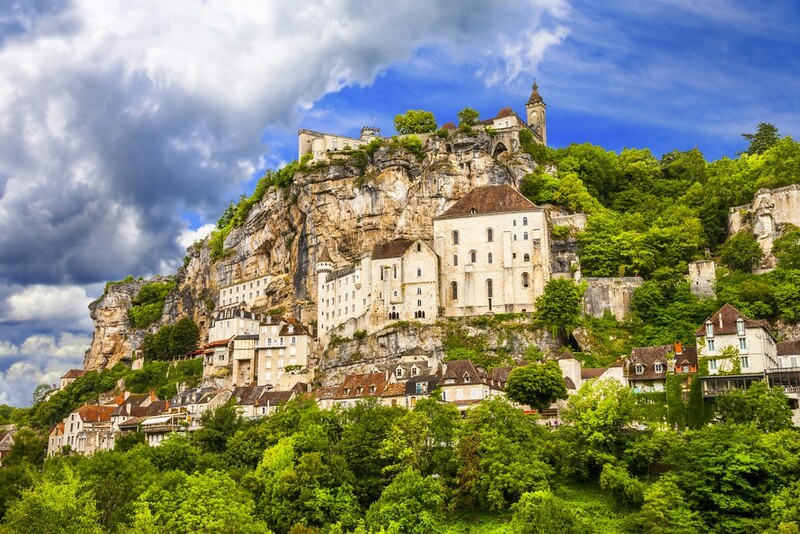 Rocamadour is also known for the sanctuary of the Blessed Virgin Mary, built in the Middle Ages. The sanctuary has been an important pilgrimage spot for centuries. One of the most sacred relics in the church is a wooden Black Madonna. There are other churches and sanctuaries in the village, such as the church od St Amadour. On the top of the cliff you will see an impressive château. Sintra is a small coastal town in the Grande Lisboa region, Portugal. The village is famous for its stunning Romantic architecture. Particularly impressive are Sintra National Parace, the Pena National Palace and Castelo dos Mouros, which dates back to medieval times. The village is surrounded by the sea on one side and glorious Sintra Mountains on the other side so it makes a great spot for those who enjoy nature in addition to historic architecture. 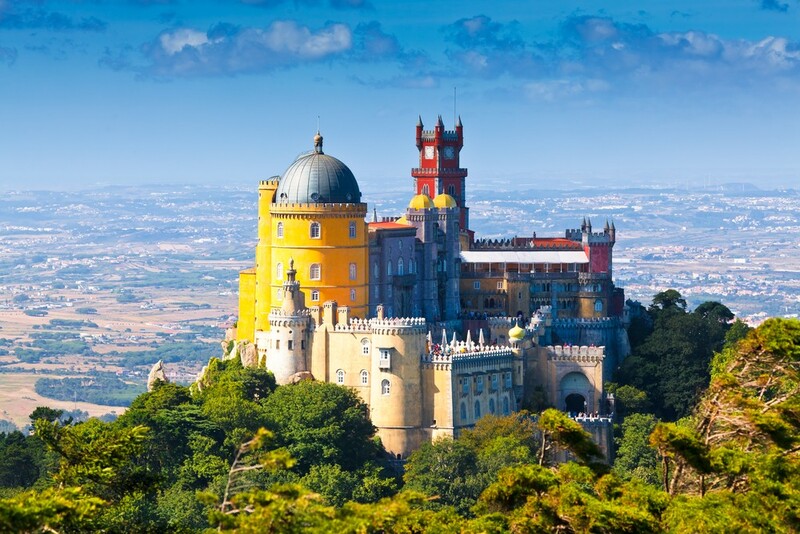 Sintra and its monuments have been included on the UNESCO World Heritage Site list. Filzmoos is a picturesque village in Salzburg, Austria. 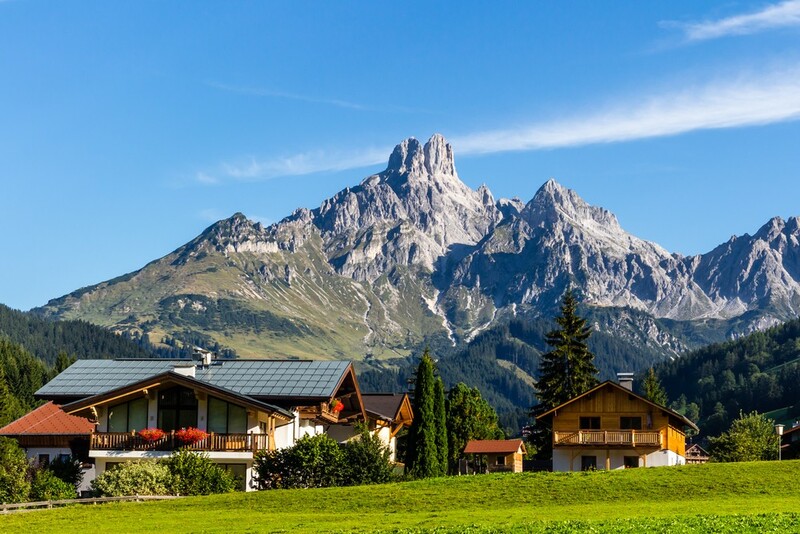 Situated just below the Gosaukamm mountain range, Filzmoos is a beautiful place to spend a holiday. It is particularly scenic in the winter when mountains are covered in snow. The mountain just above the village is known as Bishop’s Mirtre (Bischofsmütze) and it got its name because of the unique shape of its peak. Filzmoos is not only a fairy tale village but also a great starting spot for skiing, hiking and other sports. Shirakawa-gō is a small village located in Gifu Prefecture, Japan. 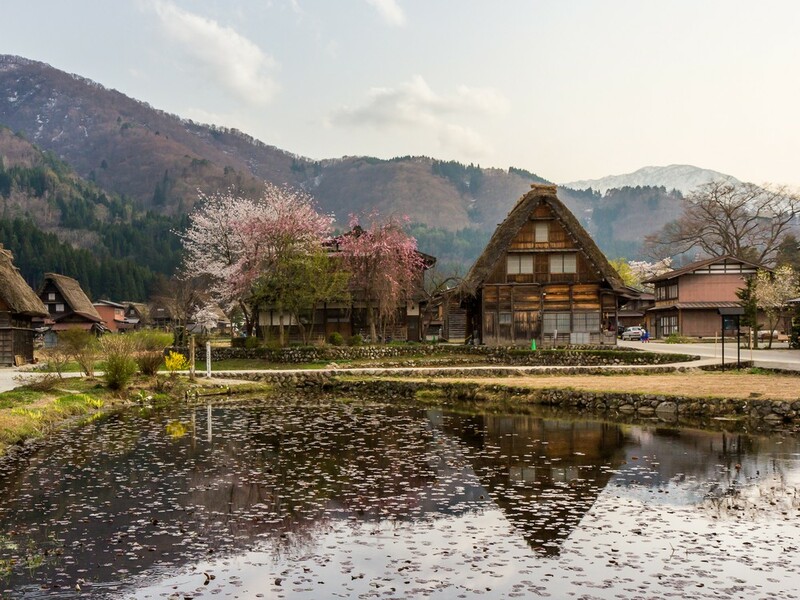 The village of Shirakawa-gō is situated in the Shogawa river valley and surrounded by the tall peaks of Mount Haku. The village is best known for its houses built in the traditional style called gasshō-zukuri. These are traditional thatched houses with steep roofs made to withstand harsh conditions in winter. Historically, these buildings are known to house large families and extended families living and working together under the same roof. 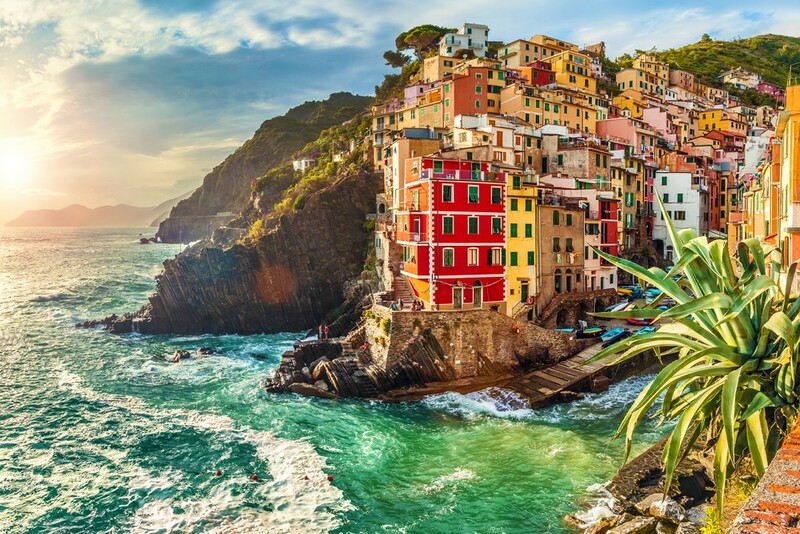 Manarola is one of the most beautiful fairy tale villages in northern Italy. This is one of the famous Cinque Terre (Five Lands) coastal towns and a popular tourist location. Cinque Terre is a group of five picturesque villages in the area. Manarola is the second smallest and probably the oldest of villages in the group, dating back to 14th century. The village is known for its colourful houses overlooking the sea. Another tourist attraction is “Love’s Trail” (Via dell’Amore), a popular walking trail between Manarola and another village in the Cinque Terre group, Riomaggiore. Huacachina is a unique village in Peru situated in a desert. 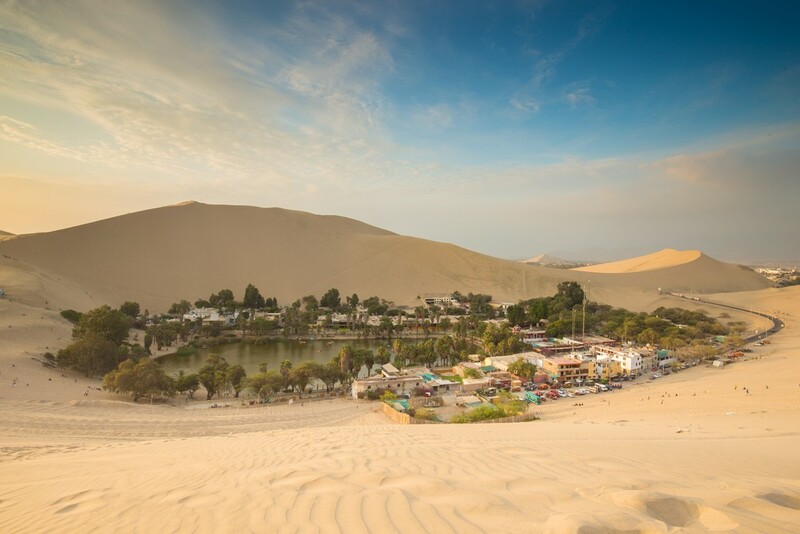 What makes this village unusual is its location: it is situated near a small natural lake surrounded by sand dunes. The oasis is located not far away from the city of Ica and the village serves as a small yet popular resort for the locals. Despite being a famous tourist spot, the village’s population is around 100. 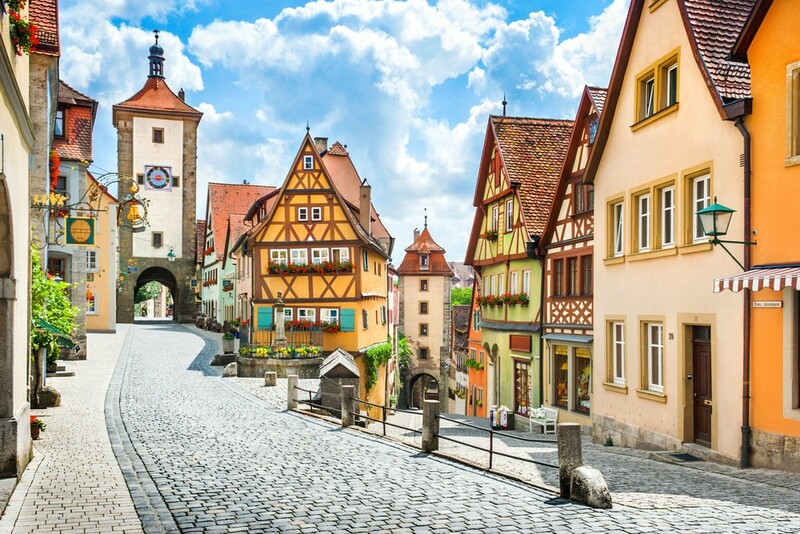 Rothenburg is a beautiful village in Bavaria, Germany. The town is known for its half-timbered houses, stone walls, cobblestone streets, gates and other medieval architecture. One of the most beautiful buildings in Rothenburg is the tower of the medieval Town Hall. The town, whose full name is Rothenburg ob der Tauber, is also the home of St. Jakob’s Church, which houses a famous Gothic altarpiece. 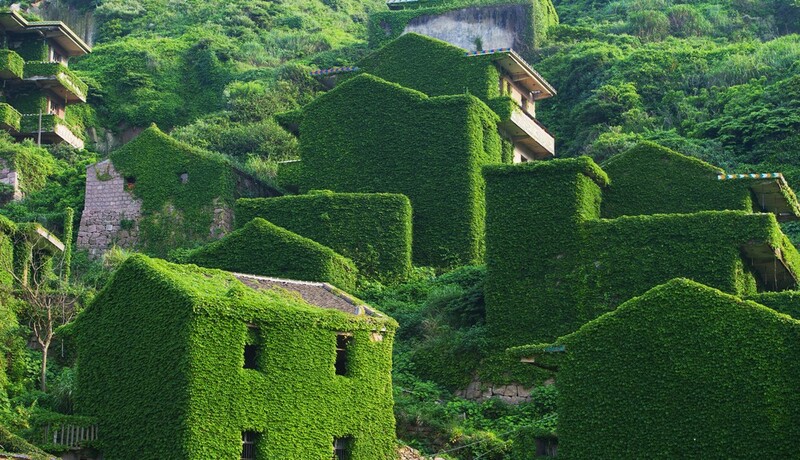 This abandoned fishing village in the Shengsi County, China, is one of the most unusual fairy tale villages in the world. It demonstrates what happens when people leave a place and nature takes over. The village was built on one of the Shengsi Islands, located on the Yangtze river. This is area of beautiful landscapes and stunning scenery but it is not well-known among tourists, which helps it retain its traditional feel. The village was abandoned because the fishing community moved to the mainland. Today, the village is populated only by plants. Bled is a picturesque small town in Slovenia. 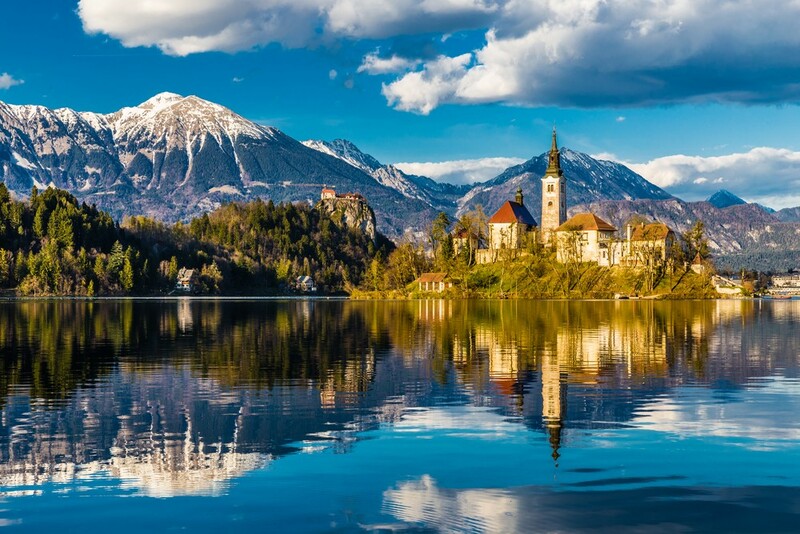 Situated on the glacial lake surrounded by Julian Alps mountains, Bled is known for its architecture and stunning nature. The most famous building in the village is Bled Castle, built on a hill overlooking the lake. 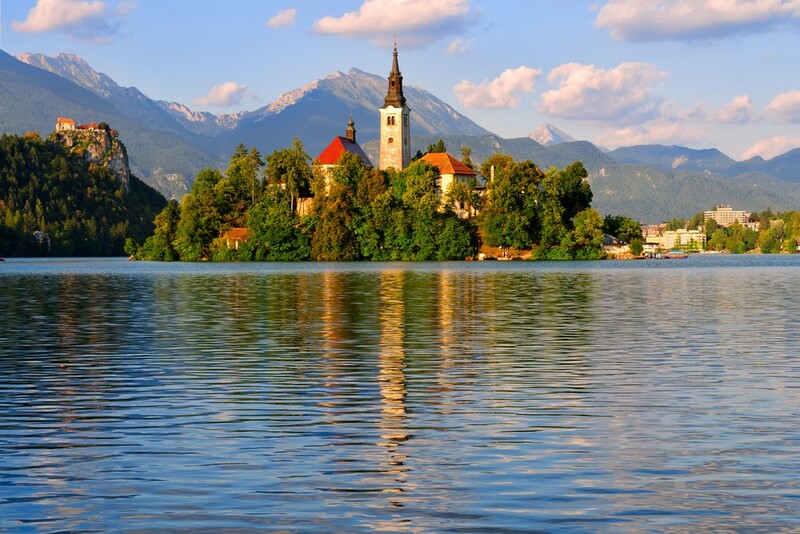 Bled is also famous for a picturesque island in the middle of the lake. The Assumption of Mary Pilgrimage Church is built on the island and it is said that ringing the church’s bell brings good luck. 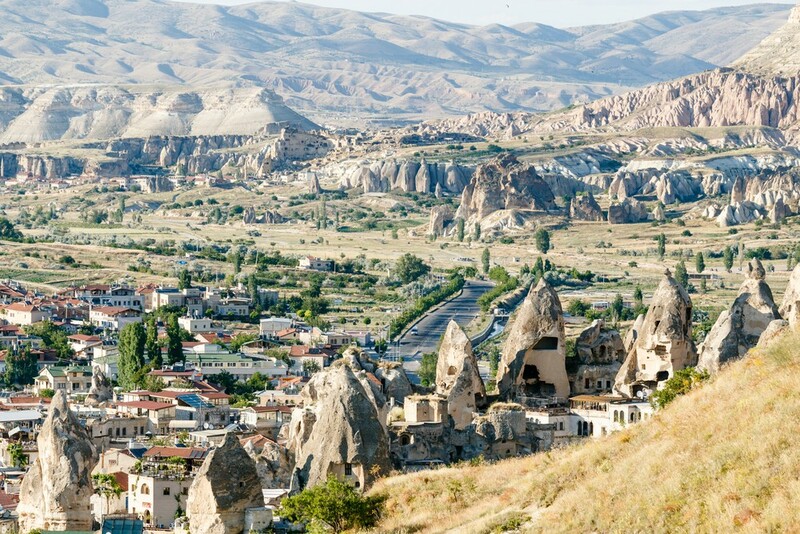 Göreme is an unusual town in Cappadocia, Turkey. This village is situated in a valley known for the so-called “fairy chimney” rock formations. The houses in the village are built next to these rocks so the whole area has a very unusual feel. The village itself is home to about 2000 people but the surrounding area is a popular tourist attraction. The Göreme National Park is included on the UNESCO World Heritage List. Grindelwald is one of the most beautiful fairy tale villages, situated in Bernese Alps in Switzerland. The famous Wetterhorn mountain overlooks the village. 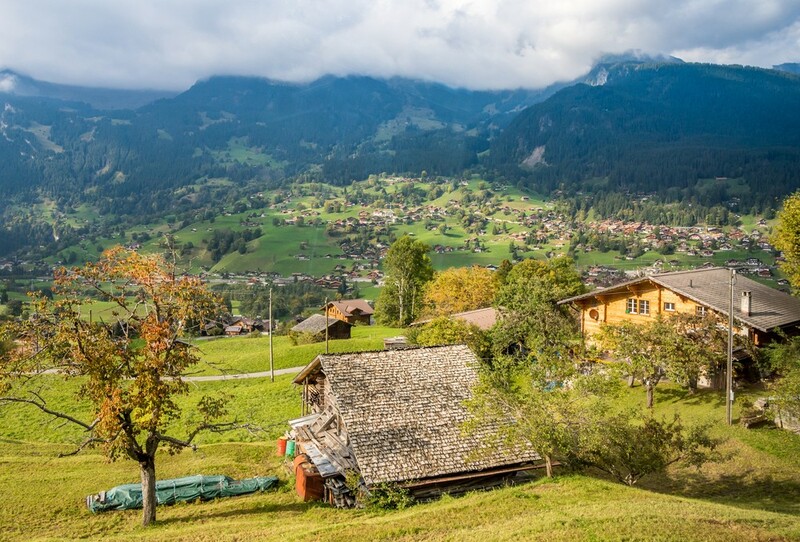 Grindelwald is famous for its traditional houses and picturesque environment. This is also a famous ski resort and a popular tourist spot, particularly during the winter holidays. During the summer, visitors enjoy hiking and climbing. Grindelwald makes a perfect starting spot for those who wish to explore the area. 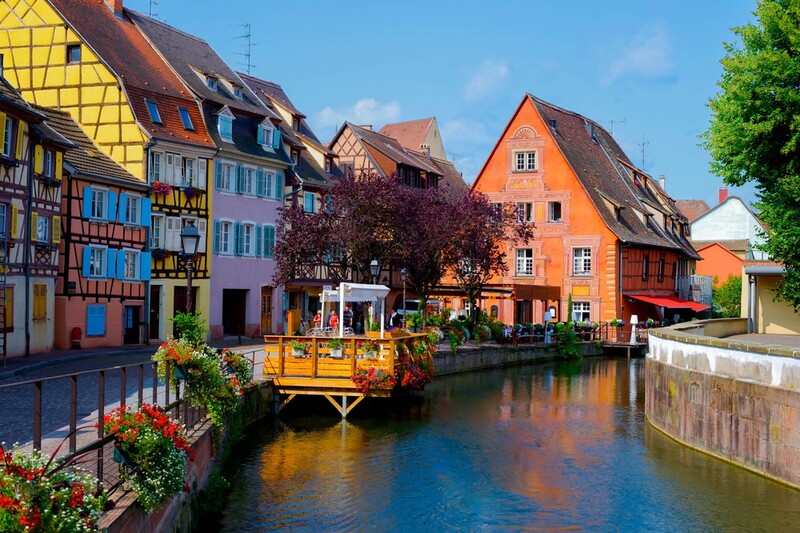 Colmar is a dreamy village in France, famous for its half-timbered houses dating back to Medieval and Renaissance time. Colmar is home to the Sant-Martin church, situated on the town’s central square. The church was built in the 13th century in the Gothic style. The village is also known for its cobblestone streets, museums and architectural landmarks. Kangaamiut is a coastal village located on an island in the Qeqqata municipality, Greenland. The village has a population of around 300 people. It is situated between two fjords in central-western Greenland. 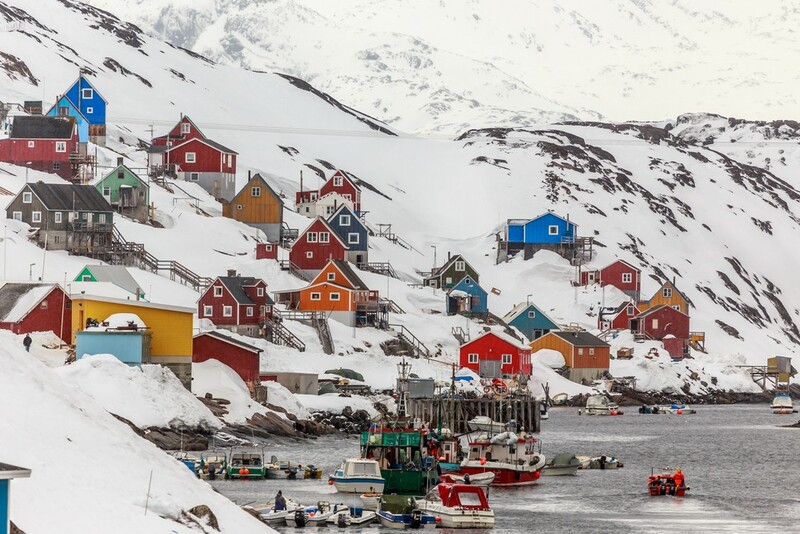 Just like many other villages and small towns in Greenland, Kangaamiut is known for its bright, colorful houses overlooking the sea. Oia is a stunning village on the Greek island Santorini in the South Aegean. This is a volcanic island known for its black and red pebble beaches. 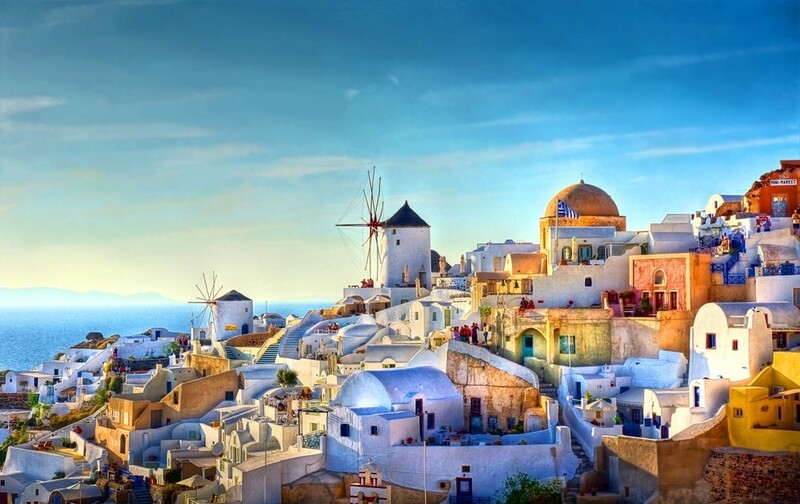 The village of Oia was built on the slope of the volcanic crater, up to 100 meters above the sea. What makes this village particularly stunning are niches carved into the volcanic rock to accommodate houses and restaurants. You need to go down 300 steps to get to the sea and the Oia port. The scenic village is perfectly situated to observe sunsets over the ocean. 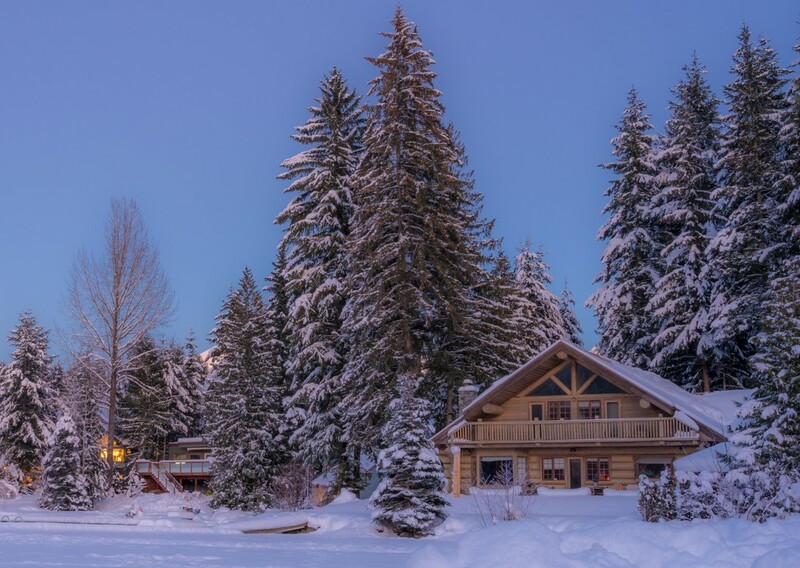 Whistler is a beautiful ski resort and a picturesque village in British Columbia, Canada. Located just north of Vancouver, Whistler is a well-known tourist spot. The region around the village belongs to the largest skiable area in the North America, which makes it an attractive spot for all fans of winter spots. However, it doesn’t mean that you should be interested in Whistler just because of the skiing. The village itself if very dream-like, with chalets and charming streets situated in a valley under the mountains. 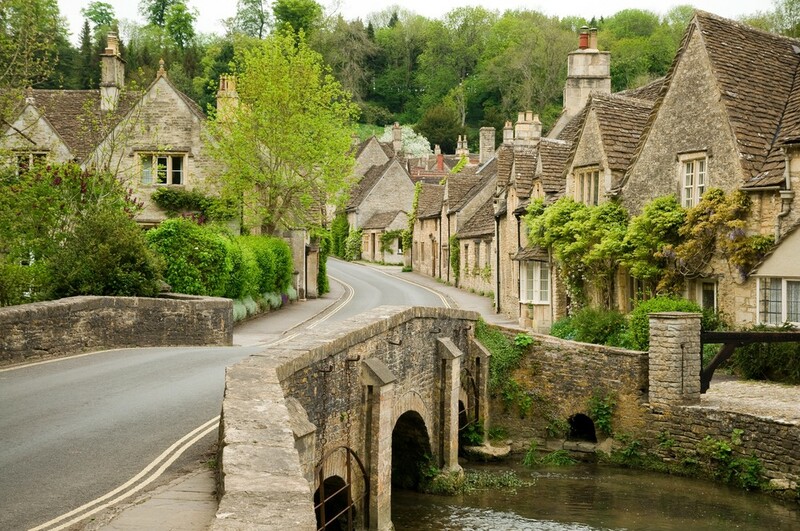 Castle Combe is one of the most beautiful villages in England. Located in Wiltshire, the village is divided into two distinctive parts: the lower part is situated in the valley and the upper part is located on the hill east of the valley. The village itself got the name from the medieval castle that was positioned above the valley. Castle Combe flourished in the 15th century, when it was known for its woolen industry. Today, the village is best known for its traditional houses, the Parish Church dating back to the Middle Ages and the stone bridge overlooking Bybrook River. Real de Catorce is a village in the San Luis Potosí state in Mexico. 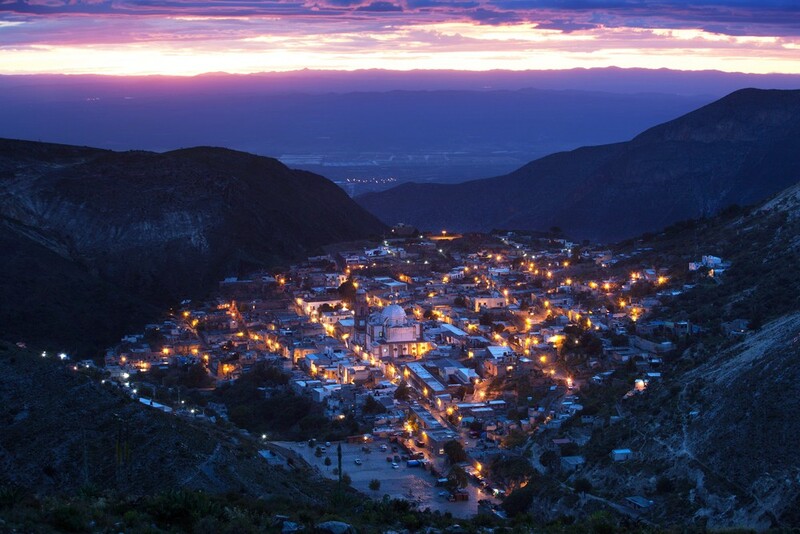 Once a prosperous mining settlement, Real de Catorce has less than 1000 residents today. Still, this village is a popular spot for pilgrims. Situated on a high plateau and surrounded by mountains, the village offers scenic views and traditional architecture. Real de Catorce is popular with pilgrims, who frequently visit the Parish of Immaculate Conception located in the village. This is also a popular spot for the Wixarika indigenous people who visit the valley. The area surrounding the village is considered a religious territory for this group of people. Dingle is a scenic town in Country Kerry, Ireland. In fact, this small coastal settlement is the only town on the Dingle Pnninsula. The town is famous for its church, built in the 19th century in the neo-Gothic style. There are many pubs and restaurants as well as craft shops for visitors to enjoy. 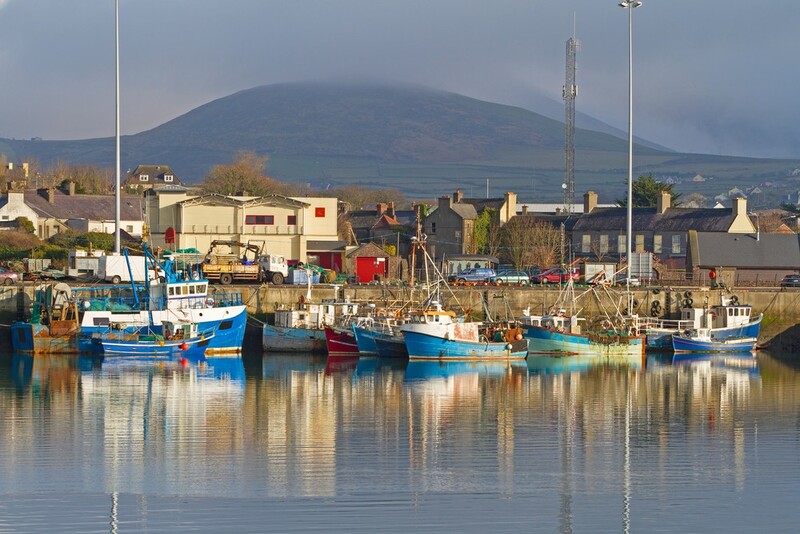 Dingle is commonly listed as one of the most beautiful villages in all of Ireland. Guatapé is one of the most beautiful fairy tale villages in the world. 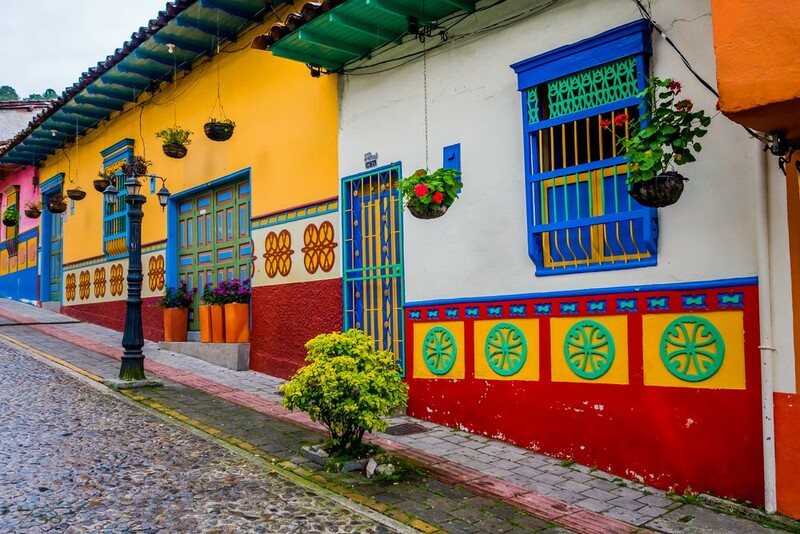 Located in Antioquia Department, Colombia, the village is known for its bright and colourful houses. All of the most prominent shops and other buildings have big tiles on the lower walls of the façade to create interesting patterns, colours and images. The tiles have a special significance, be it spiritual, cultural or simply representing products sold in the shop.